The stomach is part of two almost-separate organ systems, each with its special pathology and surgical approach. 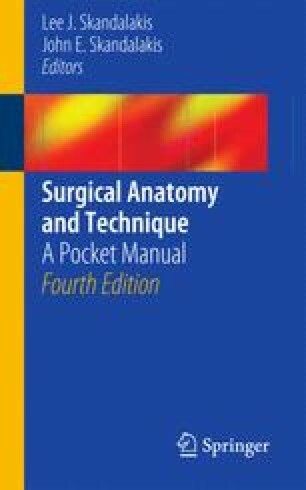 The “proximal gastric surgical unit” contains the proximal stomach, distal esophagus, and esophageal hiatus of the diaphragm; the “distal gastric surgical unit” includes the gastric antrum, pylorus, and the first part of the duodenum. Identification of the basic configuration and variations of the vagus nerves is essential for successful vagotomy. Step-by-step technique for gastrostomy, gastrojejunostomy, and pyloroplasty is presented. Guidelines for successful gastrectomies are detailed. Most gastric neoplasms are malignant; a perforated gastric ulcer can be of benign or malignant origin.